The ESA (European Society of Anaesthesiology) recently organised its first serie of webinars for knowledge sharing. The ESA’s strategy is to increase the knowledge, skills and performance of individual European anesthetists. The ESA uses webinars to distribute information that is easily digestible. All viewers were very enthusiastic about this way of sharing knowledge and all pre-established objectives have been achieved! The ESA is the leading European organisation for anesthesia, critical care, pain and perioperative medicine and holds the most prominent position in the community of anaesthesiologists in Europe and elsewhere. 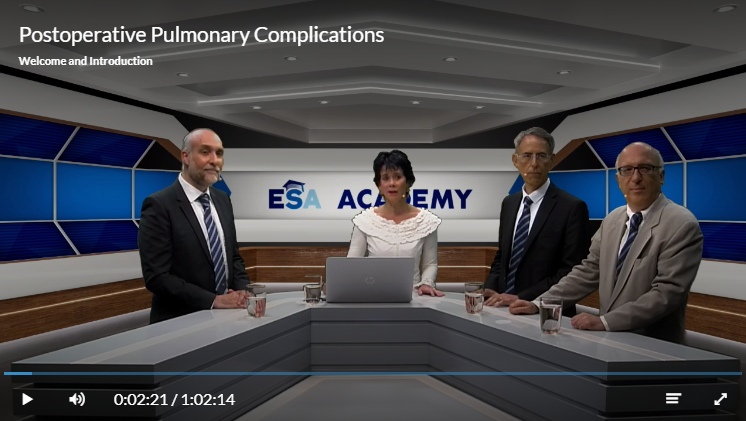 The ESA’s mission is to aim for the highest standards of practice and safety in anesthesia, peri-operative medicine, intensive care, critical emergency medicine and pain management through education, research and professional development across Europe. To do so they have started with an online Academy and their goal is to become the main source of reference in that area. What are the main reasons for using webinars? The ESA already uses conferences, trainee exchange, travel subsidies, MOOCs (=Massive Open Online Course), publications and its own magazine to increase the knowledge, skills and performance of the individual European anesthetists. And now also webinars! According Any Lam (Education & training coordinator) “The main reasons for using a webinar are the live interactivity with the speaker, the lively presentation and the emotions that are engaged during the discussion. We use webinars to share up-to-date knowledge and disseminate information that would normally laborious to consume (eg guidelines with hundreds of pages). We can reach our target group both inside and outside Europe with a webinar in an effective and efficient way “. What were the predefined objectives and the result of this webinar? To increase curiosity and interest in the following webinars. Webinars are communicated with the target group through various channels. An email is sent to all members, messages are posted on social media, there is a news item on the website and a message is posted in the newsletters. The ESA is very satisfied with its first webinars. All viewers were very enthusiastic about this way of sharing knowledge and all pre-established objectives have been achieved! The ESA has chosen to work with Company Webcast because of the professional approach and the good price / quality ratio. The tip that ESA can give to other organizations who want to start with webinar is: “Debating is always more lively and exciting than static lectures”.